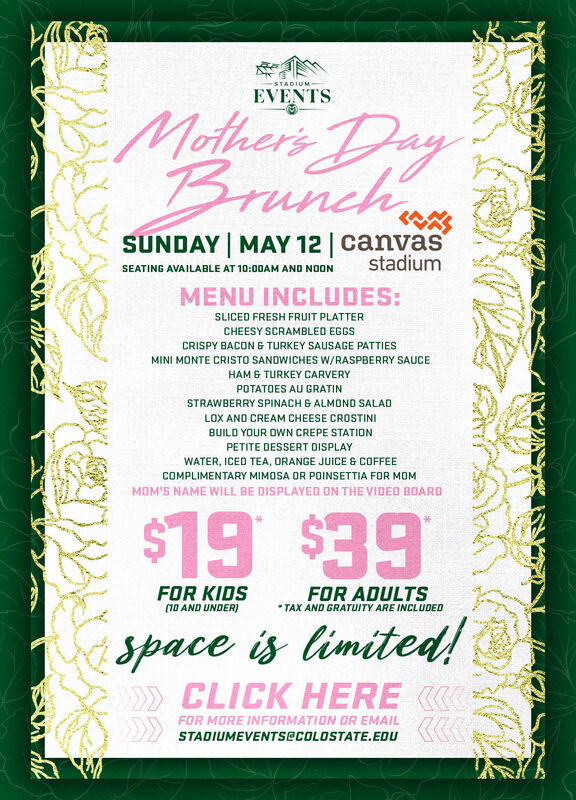 Mother's Day Brunch at Canvas Stadium! 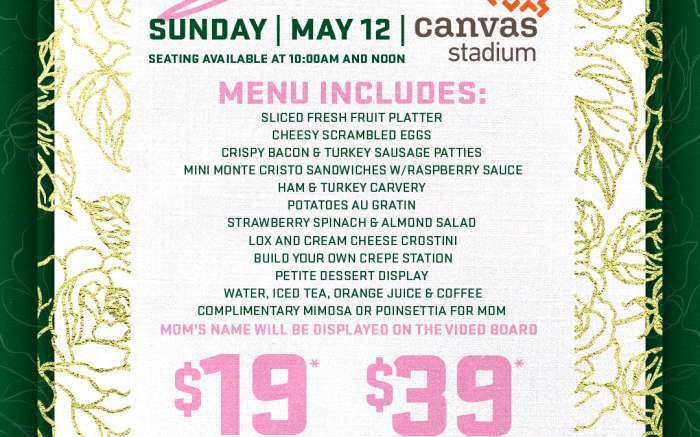 Join us for Mother's Day Brunch at Canvas Stadium! Event is May 12, 2019 with a seating available at 10:00am and at noon. The menu includes a brunch buffet, carving stations and 1 complimentary cocktail for mom. Mom's name will be displayed on Jumbotron at Canvas Stadium.